Cambridge Campus meets at 10:00am in the Prayer Room – Isanti Campus meets at 11:00am in a downstairs classroom. This will be a great chance for you to hear the history, vision, and more of the New Hope culture from Pastor John. 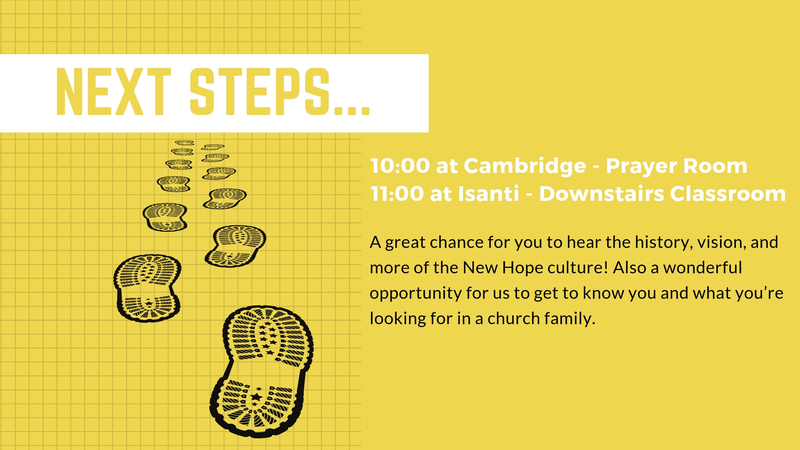 It’s also a wonderful opportunity for us to get to know you and what you’re looking for in a church family!